Strictly Ballroom meets Britain’s Got Talent in Ray Herman’s They Shoot Horses, Don’t They?– a rarely-performed evocation of a 1930s Los Angeles dance marathon where contestants compete for the elusive possibility of fame and fortune. 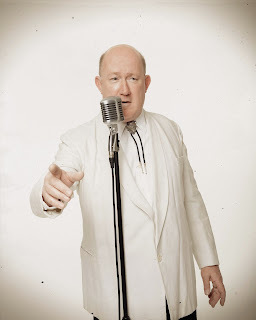 A shabby Depression-era ballroom serves as a haunting symbol for the struggle for survival as couples are provided with food and shelter for as long as they can keep moving, encouraged by a relentlessly cheerful MC (Steve Robertson, pictured). Horace McCoy’s celebrated 1935 novel is best known via Sydney Pollack’s Oscar-nominated 1969 film, starring Jane Fonda. 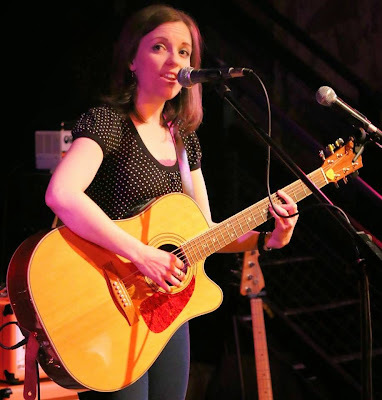 But requiring a live band and a cast of over 30, this epic tale is notoriously difficult to stage and hasn’t been seen in Newcastle for over 20 years. So we are particularly proud to be bringing this seldom-presented tale back to Tyneside. They Shoot Horses, Don’t They? 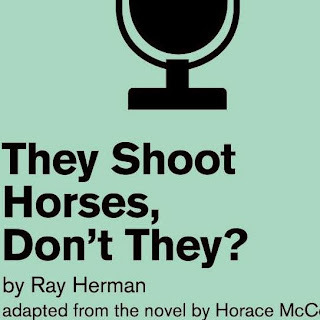 by Ray Herman, adapted from the novel by Horace McCoy at The People’s Theatre, Newcastle from Tuesday 19 to Saturday 23 May 2015 at 7.30pm.